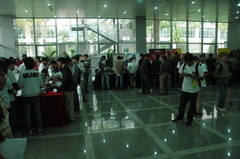 英文會議名稱: "COSCUP / GNOME.Asia 2010"
會議主題: "Open web and mobile technologies"
GNOME.Asia Summit is an annual conference for GNOME users and developers in Asia. The event focuses primarily on the GNOME desktop and other devices that use GNOME, and also covers GNOME-based applications and GNOME development platform tools. 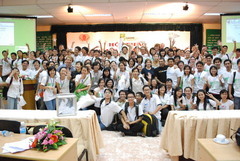 It brings together the GNOME community in Asia to provide a forum for users, developers, foundation leaders, governments and businesses to discuss both the present technologies and future developments. 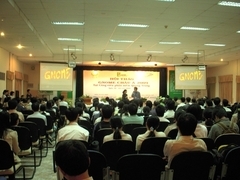 GNOME.Asia Summit has been held in Beijing, China in 2008 and Ho-Chi-Minh City, Vietnam in 2009. 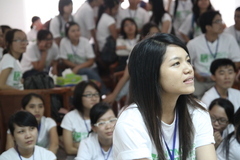 The summit has been recognized as one of the top three Open Source conferences in China in 2008 by the Chinese government and the biggest Open Source conference in Vietnam in 2009 by the Vietnamese government. Please refer to gnome.asia/ for more details. The GNOME desktop is a free, easy to use, accessible and internationalized desktop for Linux and Unix-based operating systems and is used by millions. GNOME is a standard part of all leading GNU/Linux and Unix distributions, and is popular with large existing corporate deployments, small business, and home users. GNOME also includes a complete development environment which provides the core platform for thousands of applications. The GNOME Foundation is an organization committed to support the advancement of GNOME, comprised of hundreds of volunteer developers and industry-leading companies. The Foundation is a member directed, non-profit organization that provides financial, organizational and operational support to the GNOME project and helps determine its vision and roadmap. The GNOME Foundation is supporting the pursuit of Software Freedom through the innovative, accessible, and beautiful user experience created by GNOME contributors around the world. It's a fun and inviting community, so if you're reading this and wondering what you can do to help promoting Software Freedom, contributing to GNOME is a great way to start! 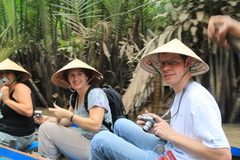 More information about GNOME, the GNOME Foundation and its advisory board, can be found at www.gnome.org, foundation.gnome.org and live.gnome.org/AdvisoryBoard.